Ordering information is at the end of this page. 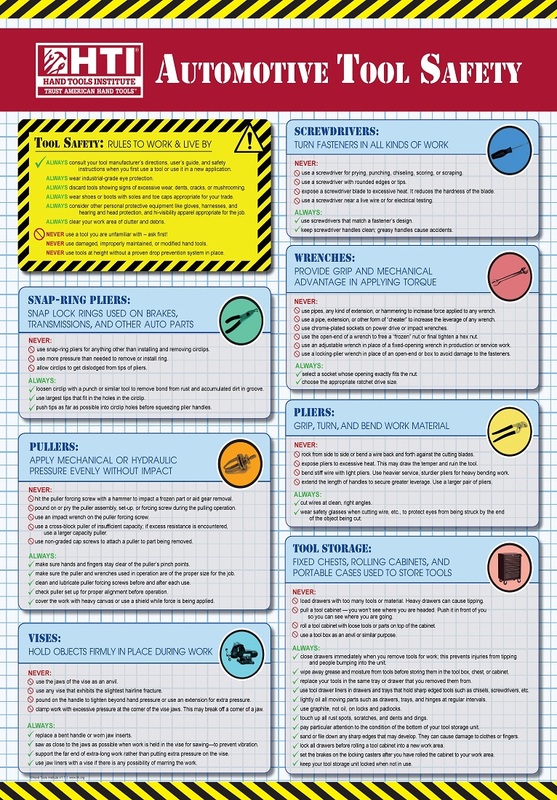 HAND TOOL SAFETY POSTER - 17" X 22" four-color chart that lists the Dos and Don'ts of hand tool usage ($14.95 each). Item # 214. 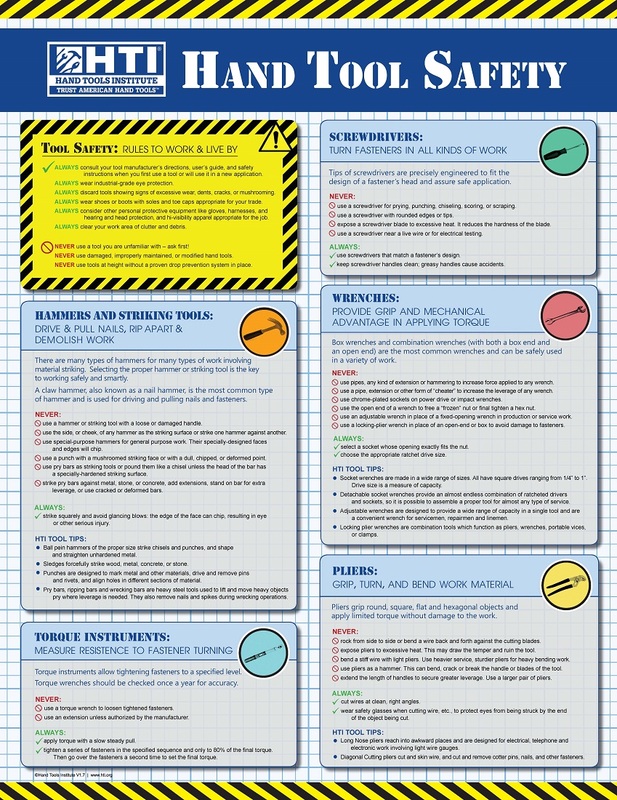 AUTOMOTIVE TOOL SAFETY POSTER - 17" X 22" four-color chart that lists the Dos and Don'ts of automotive hand tool usage ($14.95 each). Item # 215. To order on-line click here. To order by mail, use the online form and choose fax or mail as your payment method, then print the completed form. For credit card orders, use the online form or download order form (requires Adobe Acrobat Reader). Quantity discounts apply - click here to view. If you need a copy of our W9 form click here to download PDF version. HTI is not minority-owned nor women-owned. 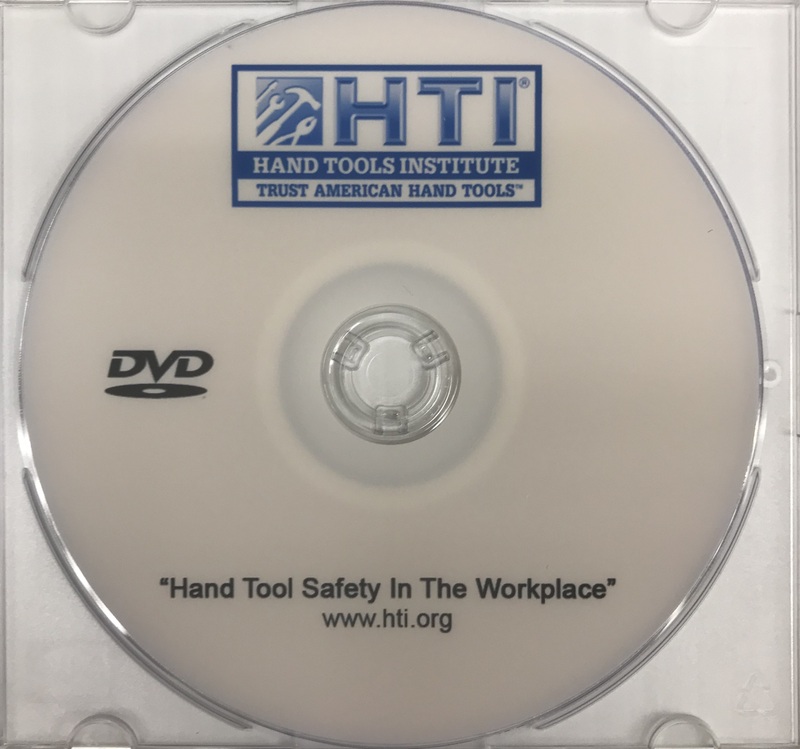 The Hand Tools Institute is a 501(c)6 organization.